Madeline Florene (Endsley) McGinnis was born on April 2, 1942 in Glen Elder, Kansas to Ancil and Dorothy Endsley. She was the third of their four children with older brothers Bill and Ernie and younger sister Jenny. Madeline, later known as Maggie, spent her childhood in Mankato and Jewell, Kansas and after a high school dance one night in 1957, she met the man of her dreams, Doyle McGinnis. They were married on January 26, 1958 and they spent the next 57 years together. They were partners in everything - from remodeling their house almost endlessly, playing in a country western band, driving a truck over the road, doing craft shows all over the Midwest, to being proud parents and grandparents. In this partnership, Doyle was the dreamer - the idea guy. He would come up with something, maybe a spur of the moment thing like, let's throw the kids in the car and take a drive to Halsey Forest; or maybe let's tear off the back of the house and build a new kitchen, bathroom, laundry room and stairwell all at the same time. Maggie was the operations department and she figured out all the details - like how to feed the kids for a full day in the car, or how to live in a house "in progress" for the next week or two while Doyle went back out in the truck, or even how to take a two week camping trip to Yellowstone with their four kids plus a friend and two grandparents. They had a system and they made it work. When the kids were young and money was tight, the family tent-camped almost every weekend of the summer. Doyle had fashioned a small trailer to haul the tent and all the camping gear, plus gave Maggie a water tank and a kitchen to store and prepare food. They spent most weekends at Harlan County Reservoir and fished all day on an old homemade pontoon boat, even though she never learned to swim and was scared to death of the water. After the kids got older, they got a camper that they loaded up with family and the birds and took vacations all over the country. They always loved a good road trip. Maggie had a "get it done" attitude her whole life. She was married and became a mother at a young age. She worked as a homemaker while her kids were young and she had to find ways to make ends meet. She figured it out. She had a daycare in her home for a number of years, then decided to go back to school and get her GED which she earned in 1987. Later she worked at Ebko Boats, Kentucky Fried Chicken, and at Bosselman's Pump & Pantry. Her bosses and coworkers at these jobs learned quickly that Maggie was dedicated, smart and hard working - she could always figure out any situation and find a way to get it done right and on time. She was promoted to management at both the KFC and Bosselman's where she was loved and respected as a leader. Maggie was courageous too. It took guts to raise four kids, basically as a single mother, and run a household. On top of that, she had learned to play the guitar and memorized a lot of songs then had the courage to step on stage and perform as the lead singer in the band that she and Dad joined to make some extra money on the weekends. She loved to sing and she was good at it, often being asked to sing at weddings and other events. This included singing at the weddings of her kids. Maggie and Doyle lived in Hastings almost their whole married life and they lived in their house on Bateman Street for 50 years. The people on Bateman could tell you the McGinnises were the best neighbors you could ever ask for. Maggie cooked and cleaned for her neighbors and in more than one case, she allowed them to stay in their own homes by checking on them multiple times and delivering meals to them every single day for months. She also opened her own home to so many people and families over the years. Siblings, parents, cousins, nieces, nephews, grandchildren, and countless friends were provided warms meals and beds - sometimes for a few days, and quite often for months and years. Maggie always figured out a way to make room and to make sure there was enough. She was a great cook and baker, and she loved to delight people with her homemade jellies, salsa, and especially her cinnamon rolls. Her neighbors, friends, doctors and nurses all loved seeing her come through their doors knowing she was bringing in some of her goodies. Her grandkids loved it too. "Going to Grandma's" had a magical ring to it and they all knew she would drop what she was doing, sit down on the floor with them, and give them anything they asked for. Her grandkids would tell you some of their favorite childhood memories are times spent with their Grandma. Another important person in Maggie's life was her sister, Jenny. Jenny came to live with Doyle and Maggie in 2003 and those two ladies had so much fun together - walking, shopping, playing Yahtzee or whatever else they chose to do. When Doyle got sick in 2012, they took care of him together; and when Maggie got sick a year ago, Jenny became the caregiver again. The love between these sisters was something special. How will we remember our Mom? We will remember her as an independent, strong-willed, hard-working woman who was smart and creative and could always figure things out. She was patient with our dad who was forever coming up with an adventure or big plan, and she made it work. She was small but mighty - a fierce protector of us kids any time she thought we'd been wronged or slighted. She was a wonderful grandma to our kids and their kids too. Mrs. Doyle McGinnis - she would use this name when dealing with bills or reservations and she was always so proud to present herself this way. She left an impression on all who knew her and she will be missed by so many. She will especially be missed by her little dog, Susie, who was her lifeline these past 4 years. 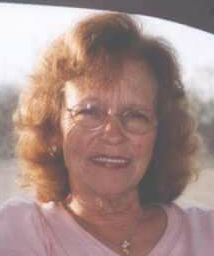 She was preceded in death by her parents, husband, Doyle E. McGinnis on Dec. 10, 2014, a brother, William "Bill" Endsley and two grandchildren, Nathan Doyle McGinnis and Abby Nicole Pohlmeier. Maggie is survived by a son, Tony (Debbie) McGinnis of Riverton, IA; three daughters, Pamela (Howard) Zimbelman of Lincoln, NE, Tina (Mike) Belau of Cleveland, TN, Lisa Pohlmeier of Hastings, NE; a brother, Ernest Endsley of Beloit, KS; a sister, Jenny Killen of Hastings, NE; 20 grandchildren and 18 great grandchildren.